Socialist Alexandria Ocasio-Cortez threatened to use the powers of her elected office to retaliate against Donald Trump Jr. on Friday after the president's son posted a meme trolling her on his personal Instagram account. "I have noticed that Junior here has a habit of posting nonsense about me whenever the Mueller investigation heats up," Ocasio-Cortez tweeted. "Please, keep it coming Jr - it’s definitely a “very, very large brain” idea to troll a member of a body that will have subpoena power in a month." Almost immediately, numerous political analysts, commentators, and pundits noted that Ocasio-Cortez's comments likely constituted an ethics violation. 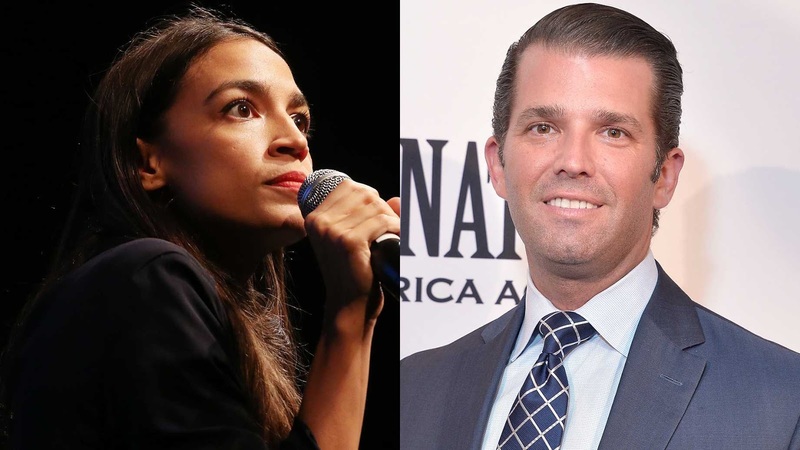 "It's worth noting that the official House Ethics Manual explicitly prohibits the kind of threat that @Ocasio2018 just issued against @DonaldJTrumpJr for his refusal to support her political agenda," The Federalist's Sean Davis wrote on Twitter. A source close to Donald Trump Jr. told The Daily Wire that they expect an ethics complaint will be filed. I wonder if the Founders ever thought that Congress would someday be a combination asylum and day-care center.